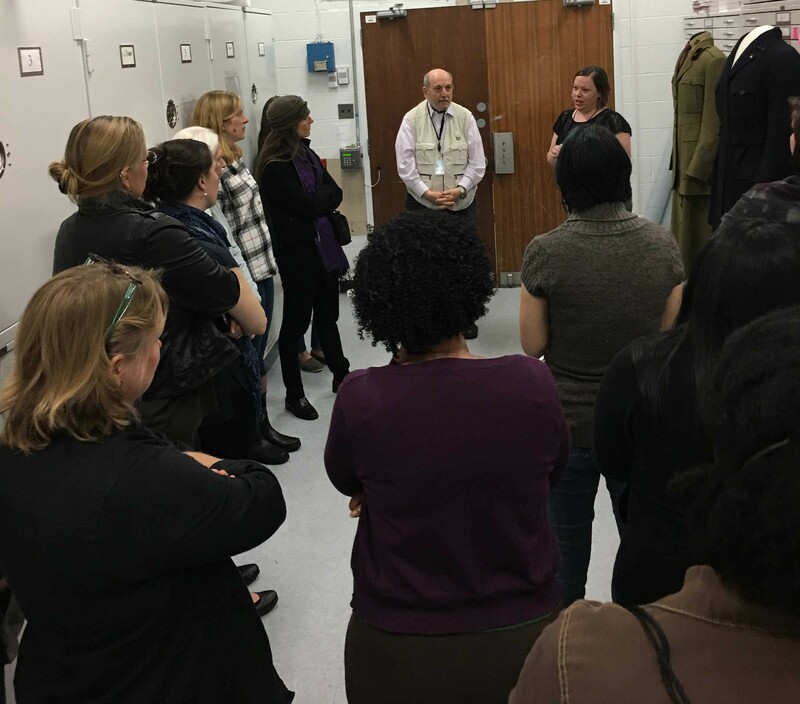 Participants crowd around century-old women’s military uniforms in a storage facility at the Smithsonian National Museum of American History. Image courtesy of the University of Maryland, College Park. 100 Years was a summit, one whose impact is still being realized. D.C.-area participants continued the conversation through a monthly book group. The program inspired several participants to pursue writing projects, ranging from memoirs to dissertations, on women’s military history. Others were inspired to share materials from the program through events sponsored by their local veterans’ organizations. Still others testified that they felt more connected to the community of women veterans, more committed to lifelong learning on the subject, and more motivated to record theirs and others’ stories in the future. With alumnae in 10 states and D.C., these ripple effects are resonating on a national scale. Uncovering the History of Nurse Practitioners in the U.S.